Apologies on the lack of updates, my computer is being all weird lately & it keeps dying and -- yea, it's just very troublesome. 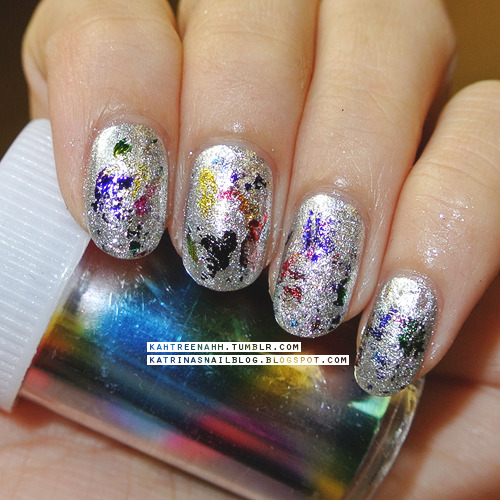 Moving on, I want to share with you a mani I did using nail foil #27 from Born Pretty Store. The foil comes in a roll (as pictured below); there's a lotttt to the roll as well. The base is 2 coats of Zoya's Trixie. I applied Trixie, once that dried, I applied a coat of clear nail polish - I let that get a bit tacky, then cut a few pieces of the foil and dabbed those pieces (of the foil) on my nails ... which with left me with this result. I like it, it was a quick & easy mani. 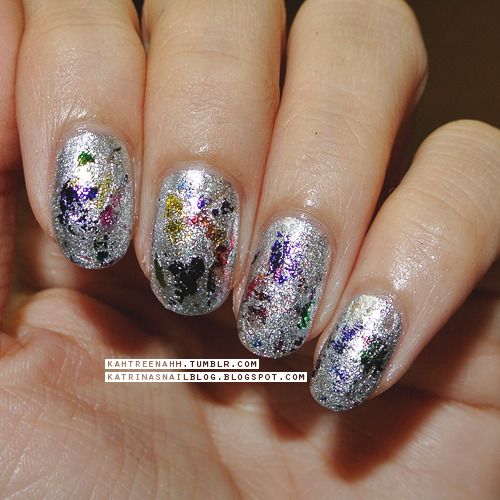 The foils are very easy to use; I read a few reviews saying there's nail foil glue which helps transfer the foil better .. but I don't have the foil glue so I just used my clear nail polish with worked decently.